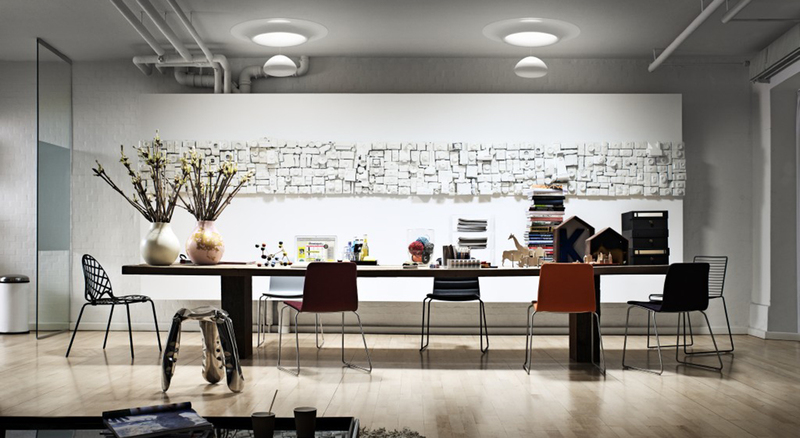 Scroll down to view a selection of Work Rooms and Home Offices transformed by VELUX Roof Windows. This workroom made it possible to install bottom-operated VELUX Roof Windows, which provide a fantastic panoramic view. 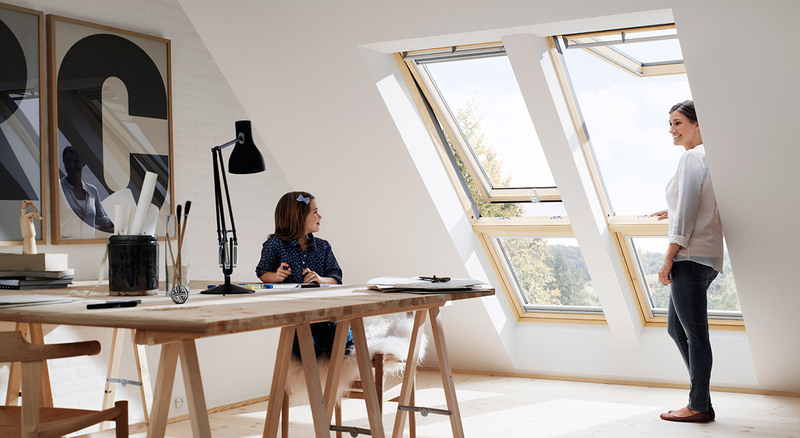 A sloping window element is installed below each Roof Window and because the windows stretch nearly to the floor, they ensure a great view and connection with the outside, even while sitting at a desk. 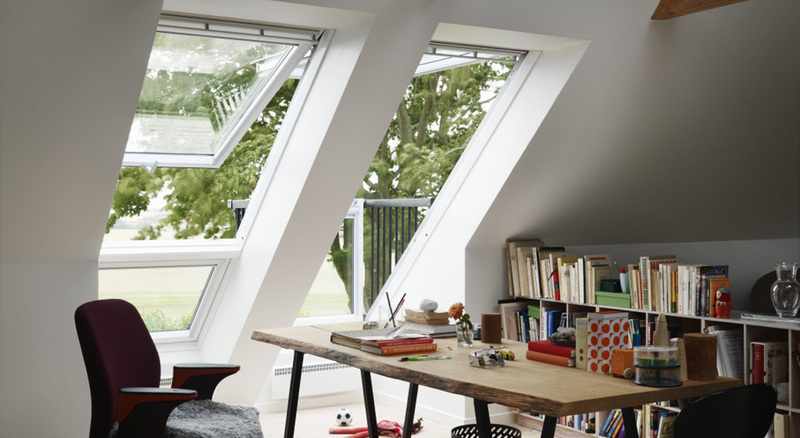 VELUX Sun Tunnels make it possible to bring natural light to areas where traditional Roof Windows are not an option. Even on a cloudy day, VELUX Sun Tunnels are a cost-effective way to provide just as much light as a conventional 60 watt bulb. 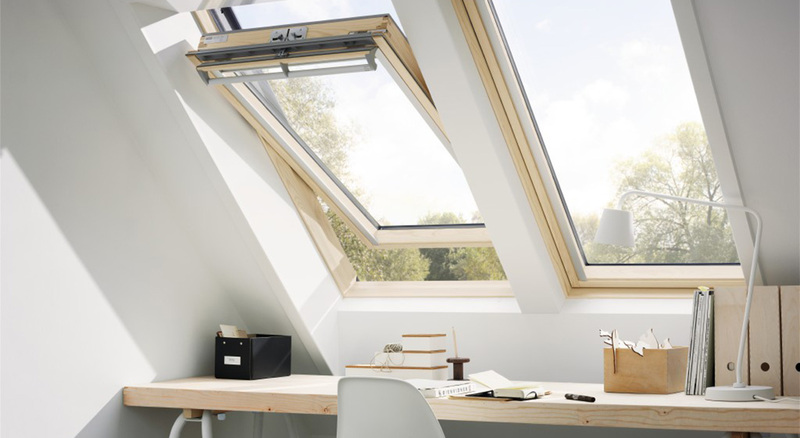 The exterior design also matches that of other VELUX products. In this example, two VELUX Roof Windows placed side by side provide this upper storey Home Office with abundant natural light and ventilation – the perfect recipe for a focused, productive work day. The Roof Windows have also been fitted with VELUX Roller Blinds, providing basic light adjustment and privacy. 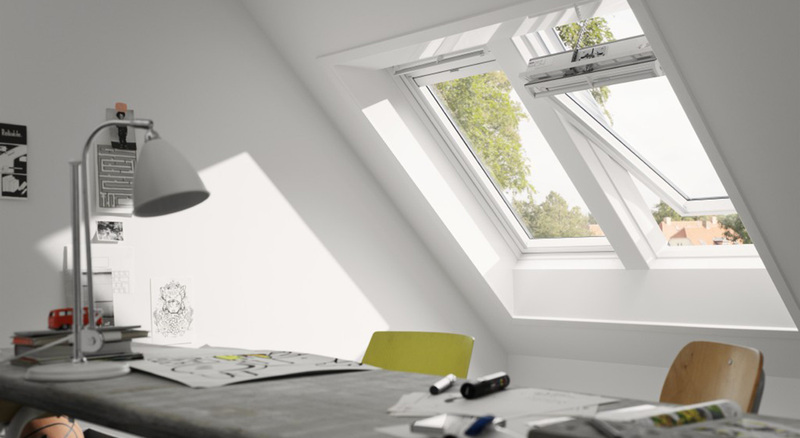 In this example, VELUX INTEGRA® Roof Windows have been installed in pairs to allow for even more daylight. 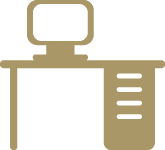 The white maintenance-free Roof Windows brighten the room and require no paint or repairs, but may occasionally be wiped with a soft damp cloth. This stylish office features a unique combination of the innovative VELUX CABRIO® Balcony on one side, and a combination of a bottom-operated VELUX Roof Window with a fixed sloping window element below on the other side. In just seconds, the VELUX CABRIO® Balcony unfolds into a small balcony – a creative way of opening up the space and brightening your day.